The Debt-to-Equity ratio is a financial leverage ratio that measures a business’s total debt to total equity. The D/E ratio is one of the financial equations that shows how much debt a firm is using to finance its assets comparative to the value represented in the stockholders’ equity. A higher D/E ratio indicates that a business has been aggressive in financing its growth with debt, and therefore, there may be a greater possibility for financial distress if the profits do not supersede the borrowed funds. On the other hand, a lower D/E ratio signposts lower risk, since debt holders have less claim on the business’s assets and it’s sometimes better for the company not to go all in trying to figure out how to increase debt to equity ratio. Continue reading for the useful info provided by our finance homework help best experts. What’s the Importance of Calculating D/E Ratio? As aforementioned, debt-to-equity ratio measures the relationship between the capital contributed by the shareholders and the capital contributed by the creditors. This shows the extent to which the shareholders’ equity can satisfy the firm’s obligations to the creditors in the event of a liquidation. This ratio is particularly important to the investors and lenders who normally go for low D/E for reasons that their interests will be better protected in case of a business decline. In essence, companies with high D/E ratios may not be able to attract additional capital from investors or lenders. So how to calculate the debt to equity ratio? To determine it, simply divide the company’s total liabilities by the shareholders’ equity. 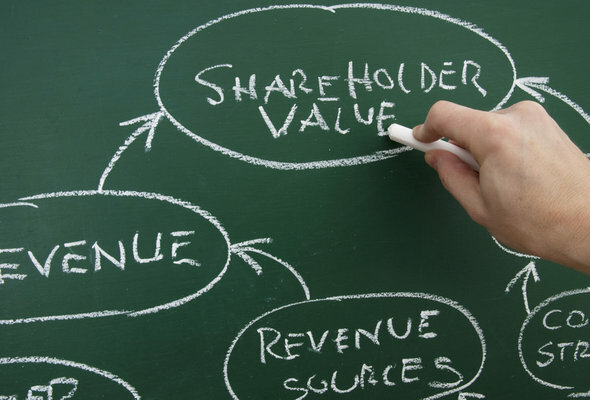 Both the shareholders’ equity and the total liabilities can be obtained from a firm’s balance sheet. Each industry has diverse D/E ratio scales, as some tend to use fewer loans than the others. For example, service-based firms tend to use fewer debts than capital-intensive industries such as manufacturing. In such cases, the capital intensive industry companies tend to have a higher debt ratio that service-based corporations. Nonetheless, investors and creditors have an equal stake in the company’s assets if the D/E ratio value is 1. If the average debt to equity ratio is lower or higher than 1, then this equilibrium is impacted significantly. Unlike equity financing, debt financing tends to be more expensive since debt financing requires the company to pay interests regularly. Therefore, companies that leverage massive amounts of debts may not be able to service their obligations. In this case, a lower debt-to-equity ratio typically implies a more financially stable business. Assume company A’s shareholders have invested $1.2 million, has a $500, 000 mortgage on its properties, and its total bank lines of credit is $100, 000. What is the debt-to-equity ratio of this business? To get D/E ratio just add $100, 000 to $ 500, 000 to get $ 600, 000 and then divide the resulting figure by $ 1, 200, 000. Calculate the debt-to-equity ratio of company B whose financial data are recorded in the table below. Now, is a higher debt to equity ratio better? Based on the two examples, it is correct to say that company A is more financially stable than company B since it has a lower debt-to-equity ratio value implying less risk. Company B has a D/E ratio value of more than 1.00 meaning that debt finances most of its assets than those funded by the shareholders’ money. Such a high D/E ratio is unfavorable because it means the business relies more on external funds, which can be risky especially in cases where the interest rates are high. Need company ratio analysis homework help? Read more about it! People tend to confuse debt-to-equity calculations with debt ratio. While both are leverage ratios and are used to measure a company’s risk in relation to its debts and equity, the two are calculated differently and measure two distinct aspects of the business. Students and professional accountants also tend to mix up liabilities and equities when doing D/E ratio calculations. To avoid such kind of mistakes, it is important to group all liabilities and stakeholders’ equities in separate columns and add up the values in each column and compute for D/E ratio. While how to compute D/E ratio is pretty straightforward, most students tend to fail because of the two mentioned mistakes. Our service is an established organization that has been helping people with such kinds of assignments for several years now. We start from where you are now and make sure that you not only achieve high graded in your finance homework assignments but also ensure that you understand how everything is done. This way, we ensure that you do the assignments well, and perform even better in your final examinations. With us you have the liberty to choose your way by ordering whatever service fits you right—whether you are submitting an assignment, choosing your own tutor, setting your own deadline, order detailed calculations and worksheets on how to calculate required rate of return or any other financial problems. It’s totally about you! On our easy-to-navigate website provides you with all the help you need; from a toll-free call to a 24/7 chat tool—submitting your query has never been easier. No need to sweat over trying to figure out how to find debt to equity ratio, just ask for our professional help! ← What Do Profitability Ratios Measure?